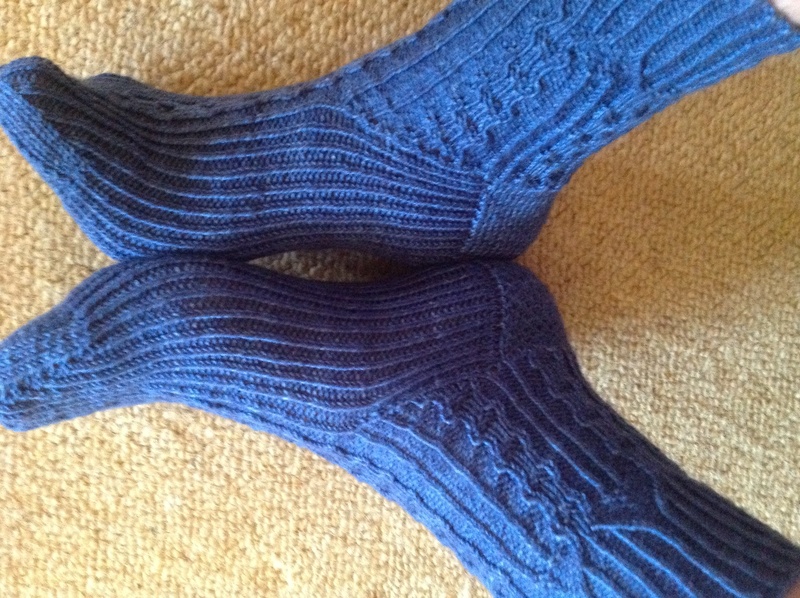 These socks are from the Janel Laidman Knitterati sock club, July shipment. The yarn is Lillian from Dirty Water DyeWorks, and I just love it. 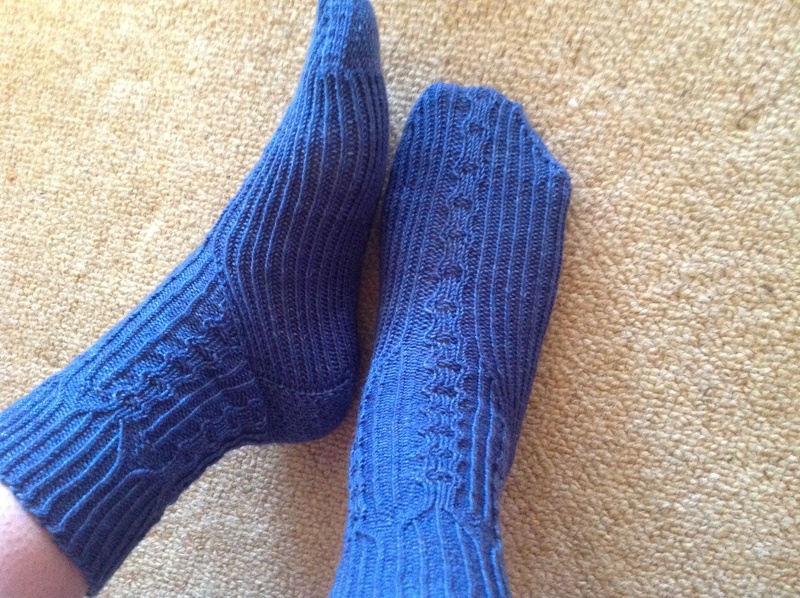 The sock pattern has a twisted rib foot bottom which much to my surprise is very soft and squishy with the added benefit of really snuggling up nicely to my foot. I love these socks!